Muduli said though he is the local MLA, Rout did not consult with him for organising the function. 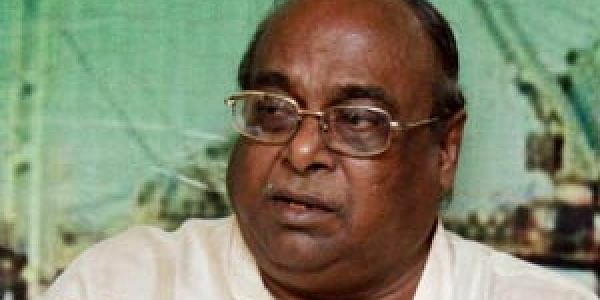 BHUBANESWAR: Jagatsinghpur district unit of the BJD on Monday demanded disciplinary action against former minister and senior party leader Damodar Rout for allegedly indulging in anti-party activities to benefit political rivals Congress and BJP. In separate written complaints submitted to Chief Minister and party supremo Naveen Patnaik, Jagatsinghpur district president Bishnu Charan Das and party MLA from Balikuda-Erasama constituency Prashant Kumar Muduli alleged that Rout is working in a pre-planned manner to weaken the BJD in the area. Written complaints against Rout was lodged with the Chief Minister after the former minister embarrassed the ruling party repeatedly during the last four days by alleging scams in purchase of saplings, polythene for Omfed packets and irregularities in cooperative bank loan and health sector. Muduli said though he is the local MLA, Rout did not consult with him for organising the function. The former minister was instrumental in the defeat of BJD candidates during the panchayat polls, the party MLA said and demanded strong action against Rout to strengthen BJD in the area. Das also demanded that Rout should be immediately suspended from the party for the benefit of party rank and file and other leaders.